Unregistered, Support the Sponsors that help NJFBOA!! The club is getting involved with this show to help preserve New Jersey's racing legacy. All years, cheap entry fee, food and more on site. Seems like a natural fit for us. Don't worry if your car is not 'show quality'. Roll out, support the cause. Flemington Speedway Historical Society was created "To Preserve, Protect, and Document the History of the Flemington Fairgrounds and Speedway"
We are going to meet at the combination gas station and Dunkin Donuts. It is in Ringoes on route 31/206. We will be driving down 179 to get to the Fairgrounds. Meet here at 8:15AM. If you are late you may not be able to park with the group. 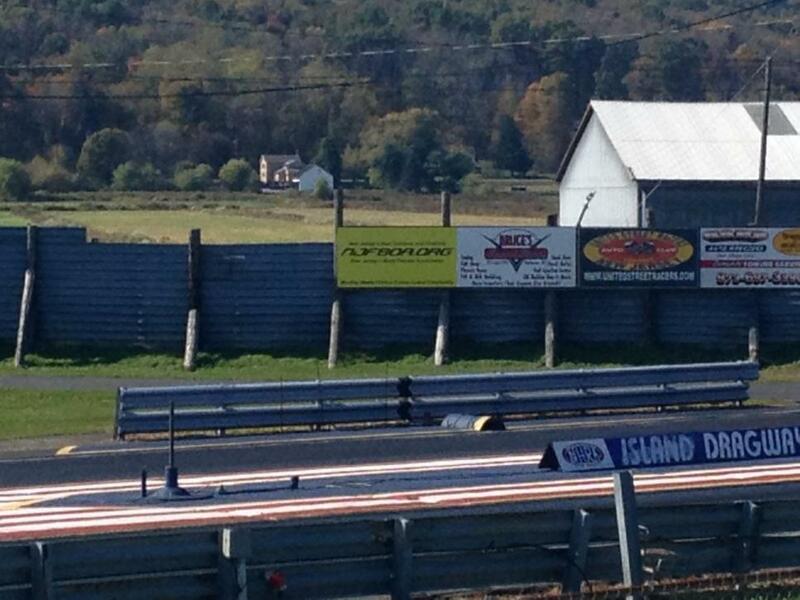 This year the November meet is at Atco Raceway on Monday 11/4. We are essentially tagging along to watch some of our members race all day. Come on out and say hello, hang out, grab some lunch (lunch price TBD, no more than $10). Please let us know if you are coming so we get enough food. 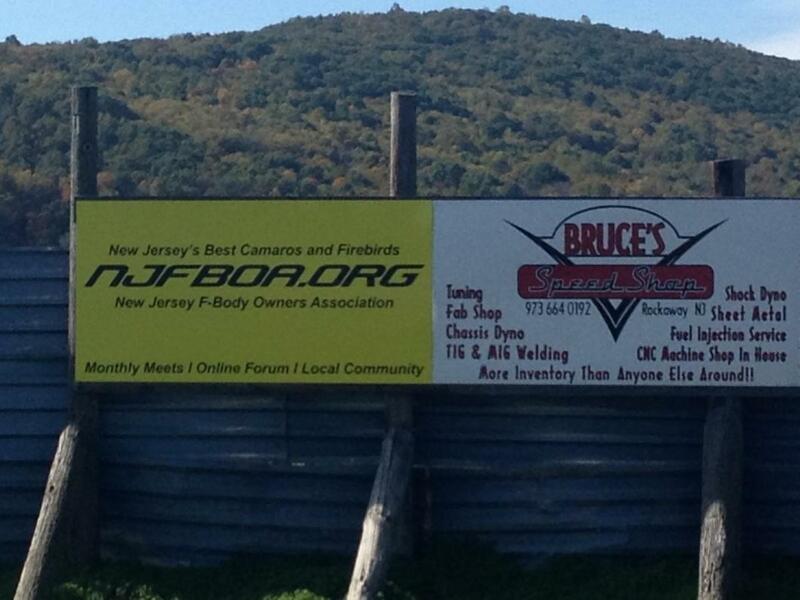 **LOOK** ---> THE NJFBOA/ISLAND DRAGWAY BANNER IS UP!!! **Remember, if you or a member you know has some great news to share, let us know and we’ll include it in our newsletter! ** Jan 2014 Meet – FIRKIN TAVERN!!! Would you want to help plan and run a meet? We'd like some reliable veteran members to step up and take the reigns and organize and run some meets. Check here for more details. Get involved!!!! Fall is here and cruise nights and shows are winding down! Get out there while you still can! Every 1st & 3rd Saturday April-Oct 2013, Chick-Fil-A, Howell, N.J.
**If you want any club stuff send Justin (Tru2Chevy) an PM on the site or drop an email to admin@njfboa.org for help! We still have pint glasses, shirts and stickers. We would like to thank our sponsors and ask for your continued support of our club sponsors. If you have a question or a need, please give them a call and tell them you're from NJFBOA. Support the companies that support the NJFBOA. If you or anyone you know would like to sponsor NJFBOA please contact us. Thanks again for all of your support and for continuing to spread the word about the New Jersey F-Body Owners Association. 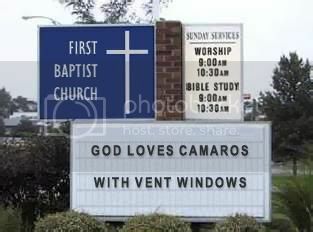 The absolute best Camaro and Firebird club in NJ! Don't forget to "Like" us on Facebook! The looser the waistband, the deeper the quicksand. Or so I have read. Feather-light suspension, Konis just couldn't hold. I'm so glad I took a look inside your showroom doors.